As a racing saddle, the Flite Kit Carbonio Flow is super light without compromising comfort. The subtle ridges at the nose provide just the right amount of friction for forward-position riding, The rails are nice a long and allow the saddle to be pushed far back which I need to get proper over the pedal position with my very long femurs. Expensive. The nose is a just a tad too wide for my liking. 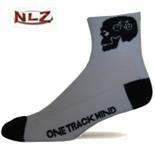 I'm a serious Masters cyclist who does the occasional race. I rode with a Turbomatic for 2 decades and then recently tried a Turbomatic Flow when I started to experience perineal pressure recently. The Turbomatic Flow's cutout partially-solved this problem but it has a bit of a rise towards the nose and so didn't allow for sliding forward in the saddle or for an aggressive tuck. I've tried several other saddles without any luck. 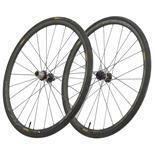 The Fizik Arione Versus X was like sitting on a flat board and the Selle Italia Flite XC was way too narrow. I tried other Fizik models which also just didn't feel good. 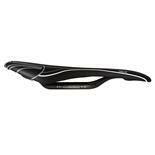 Then I tried the Flite Kit Carbonio Flow which is categorized as an "L2" by Selle Italia just like the Turbomatic. It solved the pressure problem and is significantly lighter to boot! And after 2 hours of riding, I think the Flite Kit Carbonio Flow is actually more comfortable than the Turbomatic! The shape allows for easy position changing and the ridges on the nose provide just the right amount of friction to stay perched there when taking an aggressive forward position on the saddle. The saddle is shockingly light. 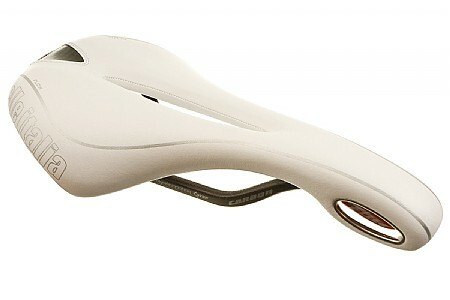 And despite what seems to be thin padding, the saddle is very comfortable. I think this comfort is made possible due to the flex that the part-carbon shell provides. 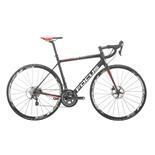 I will be replacing the saddle on my second bike with the same or with the slightly cheaper (and heavier) Flite Flow. 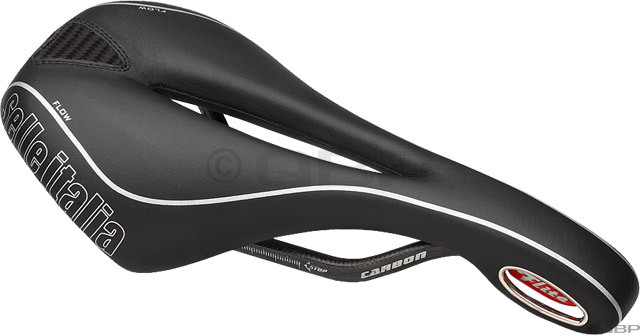 If the Flite Kit Carbonio Flow was about $50 cheaper it would be the perfect saddle. GOOD LOOKS-LIGHT WEIGHT- GOOD SUPPORT. I'M A LARGE- OLDER RIDER. 265# 59 YRS OLD. SO COMFORT IS IMPORTANT. SO FAR NONE. 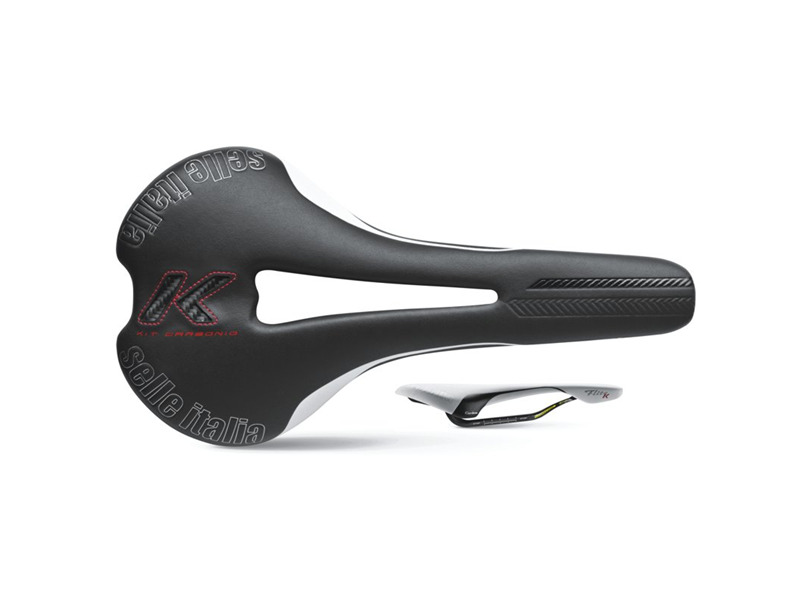 I DID TEST RIDE A TERRY TI ON A SANTANA TANDEM THAT I WOULD SAY WAS THE MOST COMFORTABLE SADDLE I'VE EVER RIDDEN.BUT THIS IS AN EXCELLENT SADDLE.FULL LIST PRICE IS A LITTLE STEEP BUT THERE ARE DEALS OUT THERE. I'VE RIDDEN VARIOUS FLIGHT SADDLES SINCE THE 80'. THIS IS THE MOST COMFORTABLE YET. I HAVE THIS SADDLE ON BOTH MY PERSONEL BIKE AND MY TANDEM. I'VE ONLY HAD ABOUT 1500 MILES BETWEEN THE TWO BUT THATS ENOUGH TO SAY THAT I LIKE THIS SADDLE. BROOKS LEATHER - AVOCET -SERVERAL DIFFERENT FLIGHT SADDLES INCLUDING GEL FLIGHT AND THE ORGINAL FLIGHT.